Equinox recently published a new translation and annotation of the Qur’an which has attracted considerable interest and which may become a useful textbook in the field of Islamic Studies. Details on the book and an option to order can be found on the book home page. Customers in North American can order directly from Equinox’s US distributor, here. This new, annotated translation of the Qur’ān is specifically designed to meet the needs of students of religion, and provides them with a one-volume resource comparable to what is available for the Jewish and Christian scriptures. The meticulously crafted translation affords readers not only a better sense of what the Qur’ān says, but how it says it, in a rendition that strives to remain faithful to the way it was originally expressed. 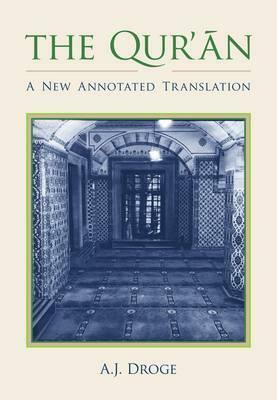 Accompanying the translation is an extensive set of annotations. These are keyed to the text for ready reference, and divided according to their boldface topical headings at the bottom of each page. The annotations offer a wealth of linguistic and historical detail to enhance the understanding and appreciation of the text. 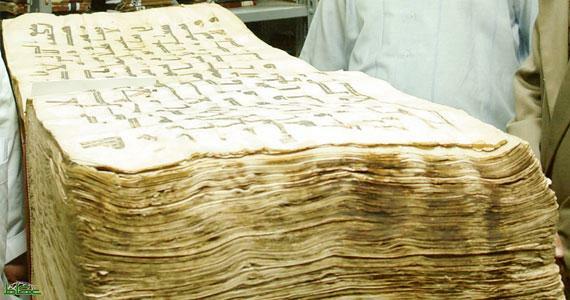 They also contain abundant references to parallel passages within the Qur’ān, as well as comparatively among the ‘scriptures’ of Judaism and Christianity. With an introduction, map, timeline, guide to further reading, and comprehensive index, this is the edition of the Qur’ān all students of religion – beginning as well as advanced – will want to possess for their exploration of Islam’s central text. A. J. Droge is the author of Homer or Moses? Early Christian Interpretations of the History of Culture and, with James Tabor, of A Noble Death: Suicide and Martyrdom among Christians and Jews in Antiquity. You can hear prof. Droge pesent at IQSA’s meeting in Baltimore. Who is The Real Speaker? Numerous grammatical tropes and rhetorical mysteries of Sura al-Fatiha have always been a great point of interest. We are not going to take a grammar course however, we want to talk to God. But is there any real dialogue with God in the seven verses of al-Fatiha which Muslims use in their daily prayer, if so, who is the real speaker? Many times I have asked my self, who is saying “In the Name of God?” Is God talking on behalf of His believers or even unbelievers? If so, is God swearing to His own name? It does not make sense! why on the other hand, are there no verbs here, what is that supposed to mean? Is that “Me” who is saying: “I should begin this or that job or task in the name of God?” Or, is this God who says: “ Read! Start! or Make love…however, do it in the Name of God? What is supposed to fill this empty space of verbs and predicates? If there were a pronoun or adverb or any deictic indicating space and time in this verse, it would focus our minds on a more limited setting. Later in the same Sura, “Thee alone we worship and thee alone we ask for help” (Q 1:5), verbs and pronouns focus the reader’s attention automatically on the human act of serving God. In other words, in this way the mind of the reader/speaker accepts a kind of limitation and in this limitation s/he looks upon God. This confinement sets the ground for religious discipline which is of great importance in the spiritual life of any believer or within any religion. In this limitation the act of worship is manifested within the verb and pronoun. Although the speaker’s point of view is inward here : ‘we’, it must be borne in mind that the real speaker is the one who intends to focus our minds on worship. So there is a hidden speaker here, who is trying to focus the reader’s words and mind on a certain act, on worship. Such a limitation is not seen in the beginning verses, the mind and subjectivity are allowed to float in an unconfined space and feel free to call God in any form that the magnetism of desires would let it go. The phrase “in the Name of God” can be attached to anything, since it is detached from everything: beautifully free. This freedom and mind suspension is applied in the next three verses of al-Fatiha where timelessness and boundlessness, plus the absence of verbs creates an abstract mood which cannot be identified with anything save the Sacred. Here the speaker is free of any certain worldly affiliation. While in the following verses, the verbs direct the attention of the speaker towards the relationship between God and Humankind. Thus, we face a double layered structure in al-Fatiha: in the first part (Q 1:1-4) we face a sense of detachment, a sense which in the second part (Q 1:5-7) turns into attachment. A binary structure: God versus/by side of Human. Does this structure help us to understand who the real speaker is? Who is the one that focuses our mind by putting emphasis on the things He wills. In the first part, it is in fact God Himself, who speaks in behalf of the reader, and asks to be seen with His attribute of bounty. But at the same time He gives form to a hidden speaker beneath the words and the style of phrases. This hidden speaker shapes another addressee, who is going to be God himself. The real speaker is the one who shapes this double structure; A structure which shapes a dialogue, like a question and an answer, or a request and a reponse. So , based on this structure, the speaker is either God or Human. It is this ambiguity that gives the Sura an important peculiarity, according to which God speaks on behalf of Humankind and Humankind speaks in place of God.